Subaru’s been busy this week with major launches in both Tokyo and LA. First up is the Cross Sport Design, a compact SUV concept. 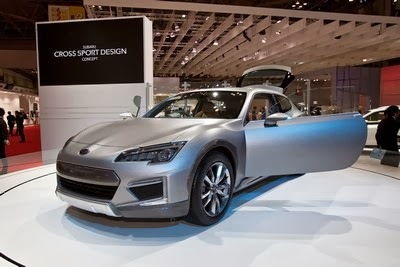 I don’t know about you, but to me it looks a lot like a ruggedised BRZ shooting brake. Perhaps now that Toyota has the convertible FT-86, Subaru will get its own spin-off? 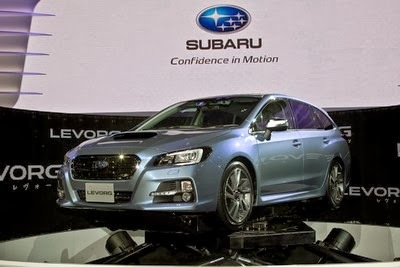 The Levorg goes on sale in Japan early next year. Power comes from brand-new 1.6- and 2.0-litre direct-injection, turbocharged flat-four engines, developing 168bhp and 296bhp respectively. I’m assuming it’s spun off from the same platform as the new WRX, which we’ll come back to: it seems to be a similar size and the front is more-or-less the same. The clue is in the name of the Legacy Concept: it’s the concept for the next Legacy. Behind the motor show glitz, the basic shape seems realistic enough. We’ll find out when the production version breaks cover at some currently unspecified time. 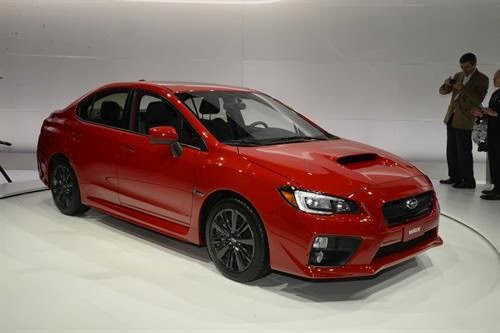 The big news from Subaru is of course the new WRX. Mechanically it’s more of the same, with a new 2.0-litre, direct-injection turbocharged Boxer ‘four’ putting out 268bhp. Symmetical All-Wheel Drive, Vehicle Dynamics Control and Active Torque Vectoring keep everything under control. But all that has been largely ignored, because every hack in the world has been banging on about the WRX’s styling. 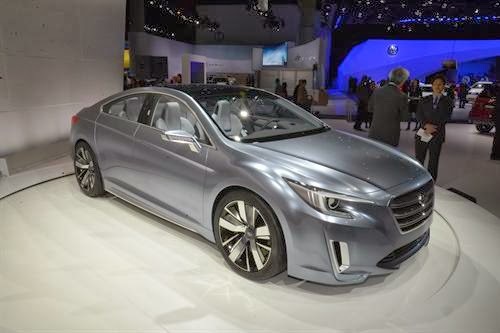 I won’t deny that it’s a bit dull-looking and doesn’t live up to WRX concept from earlier this year. But that was a coupe and the production car is a saloon, of which there’ll be much more prosaic versions. So, while there are elements of the concept about the front, the rest of it was always going to be very different. And besides, with the exception of the late-Nineties two-door, it’s not like any other WRX was ever a looker.